Wikipedia is the antithesisÂ of PR. 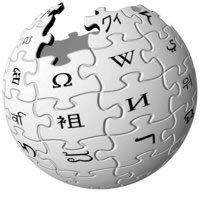 Wikipedia is an enormously powerful force on the Internet and bedevils PR, even when it is scrupulously professional and fair and beneficial to the general good of the public – fulfilling theÂ evolving credo of the Wiki Media Project. Wikipedia is often in the first tier of responsesÂ in a search. Wikipedia influences perceptions, decisions, SEO, and other online and offline content that relies on Wikipedia for background. Wikipedia does not claim to be ‘fact’ – rather verifiable information that comes fromÂ credible ‘independent’ sources. So, if you are connected to the story in any way – PR rep for a client – you are a conflict of interest and cannot contribute to Wikipedia about that client. To understand the Wiki world I created a Wikipedia user pageÂ andÂ developed ‘test’ content that adheres to Wikipedia’s stringentÂ Neutral Point of ViewÂ criteria. Wikipedia has a ruthless band of roving volunteer editors who remove anything they feel is posted by an un-objective source or is in any way tainted. You cannot manipulate Wikipedia or you will get slammed and perhaps marked for life (all edits are recorded – no wrong deed goes unpunished). Contributing to Wikipedia projects, like WikiProject Investment, can help you learn the Wiki way and establish relationships with other editors. Change to a Wikipedia page, unless it is on someone well know, can take months or even years. You cannot control content on a client. Anyone can change Wikipedia content, even anonymously.